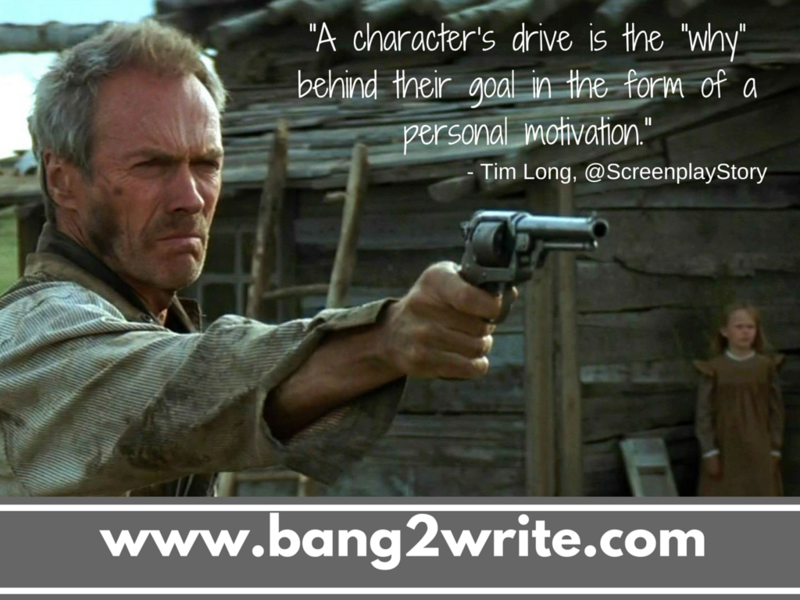 As all longterm Bang2writers know, B2W is known for its commentary on effective and diverse characterisation, so many thanks to Tim Long from ScreenplayStory today, with some VERY enlightening thoughts — enjoy! As people we connect with other people through empathy. Empathy is our innate ability to sense other people’s emotions, as well as to imagine what someone else might be feeling. It’s our capacity to identify with the feelings and concerns other people have. In short, empathy moves us to share in another’s struggle, to really see the world through their eyes. Here’s the thing, recognising emotion in others is a way we FEEL with other people. Empathy allows you to look at others and feel that they are like … well, you. In other words, in order for the audience to connect with your character, they have to connect with something in themselves that knows what your character is feeling. And that’s the power of empathy. Take Clint Eastwood’s character in the film, Unforgiven. His wanting to provide a better life for his motherless children by doing one last killing and collecting a bounty, something he guiltily doesn’t do anymore, allows us to empathise with him. It allows us to relate to his character. MORE: How Do I Write A Great Character? Distinction is the idea of difference. It’s what makes your character different and unique to the audience. And it can come in many different forms. It can be a specific personality, a contradiction, a talent, an aspiration, or a character flaw, to name just a few. A character’s drive is the “why” behind their goal in the form of a personal motivation. It’s what causes the audience to invest in your character’s story. As an example of this in play let’s go back to the film, Unforgiven. Clint Eastwood’s goal was to provide a better life for his motherless children by committing a bounty killing. So what’s the driving force behind that goal? What’s the thing that’s personally motivating him to attain that? What’s his why? Distinction draws the audience in. Empathy makes the audience relate. Drive keeps the audience invested. If your character has these three key elements your audience will not only invest in them wholeheartedly, but also in the narrative that makes up their journey. BIO: Tim Long is a screenwriter who has sold, optioned, and pitched feature film projects at the studio level, and has had original screenplays in development with Academy Award ® winning and nominated producers. Mr. Long is also a nationally recognised story consultant, and taught screenwriting at the MFA level in a top ranked University film program. He’s currently Founder and C.E.O of PARABLE an online, interactive, story development courseware for screenwriters at ScreenplayStory.com. Follow him on Twitter as @ScreenplayStory. Really useful article, thank you. Helps me to focus on what I know is a ‘good’ character in my drama. Now all I have to do is make them ‘great’.